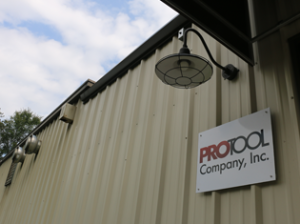 PROTool Company, Inc. is a privately owned machining facility established in 1997. We offer both job shop and high production capabilities with highly skilled personnel specializing in the production of precision machine parts and tooling. We also manufacture and stock a variety of wear components for tire shredding machines along with regrinding/ resharpening of your existing blades. We proudly serve a variety of industries on a national and international level including bearing manufacturers, tire recycling, firearms, and the automotive industry. We now have over 16,000 square feet of climate controlled manufacturing space including our 1200 square foot addition just completed in 2016. Our capabilities include but are not limited to Wire EDM, Plunge/ Sinker EDM, CNC Milling, Turning, Laser Engraving, and Grinding. We also offer CMM and 3D solid modeling capabilities.